When will I get this? This item is made to order. Please see production times before placing your order. How fast do you need this item? I hereby declare I have permission to use any copyrights or trademarks used on this piece. I understand that if for any reason the legal owner of any mark contacts S4G they will be directed to me. 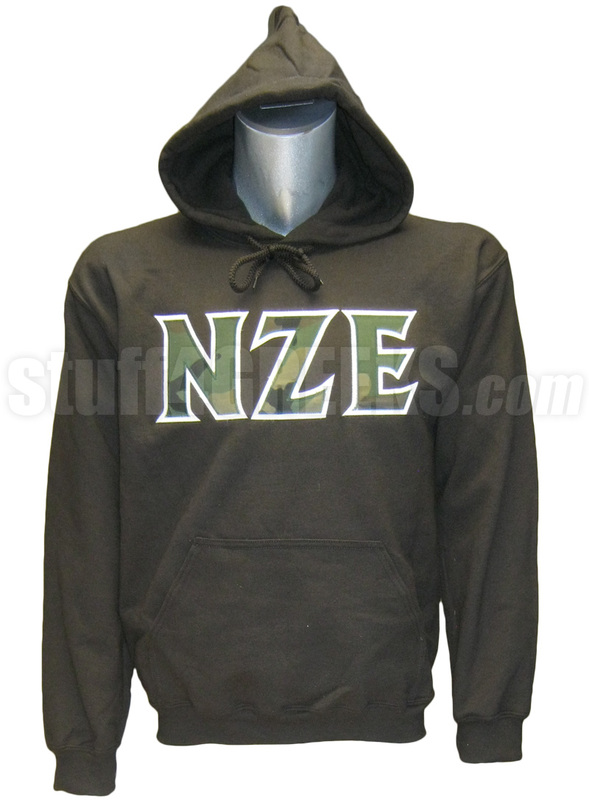 Brown Nu Zeta Epsilon pullover hoodie sweatshirt with the camo Greek letters across the chest. You will earn at least 70 rewards points for this purchase. Your total rewards points will be higher based on the options and quantities that you choose. Your merchandise total at checkout is your true rewards value. What can I do with my Rewards Points? You can use your Rewards Points to redeem discounts, cash off future orders, and more free stuff. 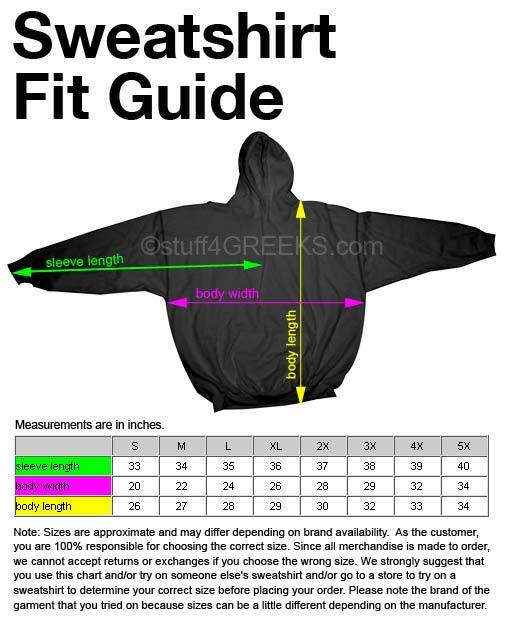 You can also get the highly-coveted stuff4GREEKS Black Card. Learn more about Rewards here.